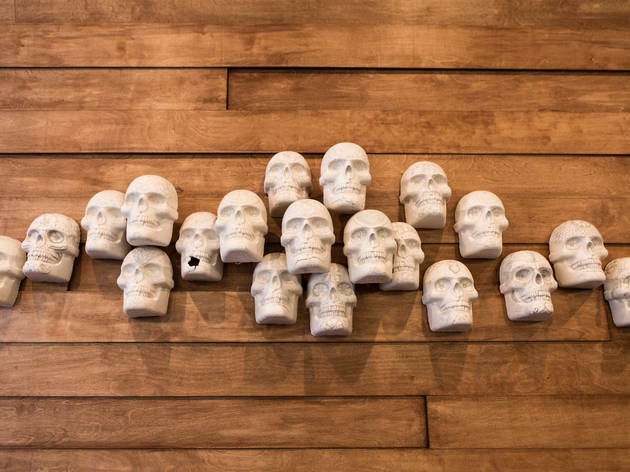 Cemitas Puebla West Loop location is a bit sleeker than the original, now closed, outpost in Humboldt Park, with artwork like skulls and a giant Coke sign made of army figures. The menu is the same, so score specialties such as tacos arabes, pork tacos with thick, pitalike wrappers that are the result of Puebla’s Lebanese influence. Here, these chipotle-spiked beauties and their friend the cemita milanesa (a breaded pork steak with cheese and avocado on a sesame-studded bun) are among the best of the menu.